Create a proper exhibition yourself with the Nobo Curved Concertina Wall. Supplied with a compact carry case, it’s a super lightweight pop-up stand that anyone can easily erect and take down single-handedly. 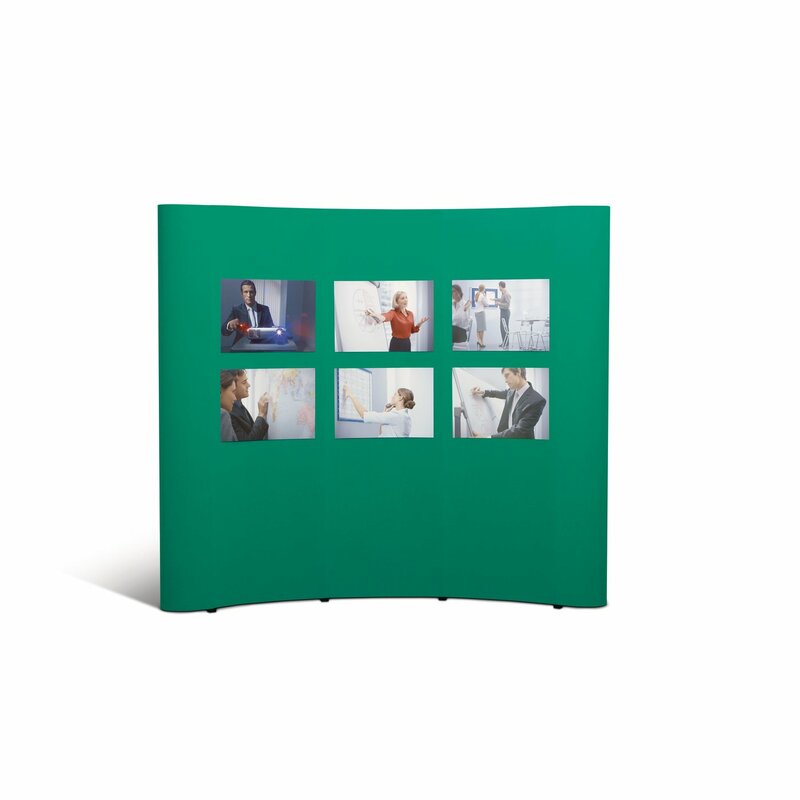 With striking green soft nylon panels that provide a seamless backdrop, graphics are simple to fix with Velcro. Ideal for exhibitions, tradeshows and displays. Light weight pop frame assembles in seconds. Velcro compatible surface for quick and easy displaying. Supplied with carry case. An excellent super lightweight display system. 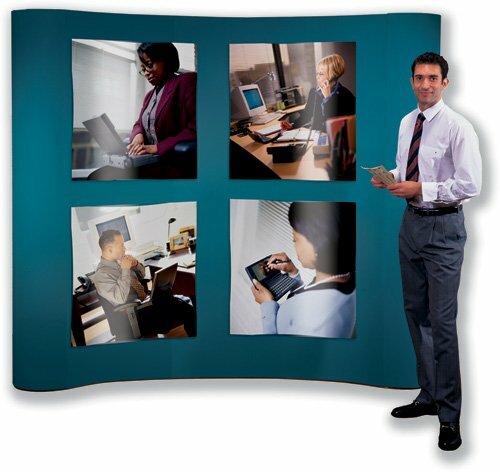 The superb seamless system allows for continuous display presentation. Can be easily set up with just one hand. The framework locks into a curved position after unfolding to give the system stability. Features Jade coloured nylon-loop-covered soft panels hook on and are held in place with magnetic strip, accepts Velcro. Each panel butts up tight to the next leaving no gap between. Two sets of framework may be linked by hooking a panel across the gap between the two. The cases can be fitted into the boot of the smallest vehicle for excellent transportation capabilities. Assembled Size: Width - 2575mm, Depth - 680mm, Height - 2140mm. 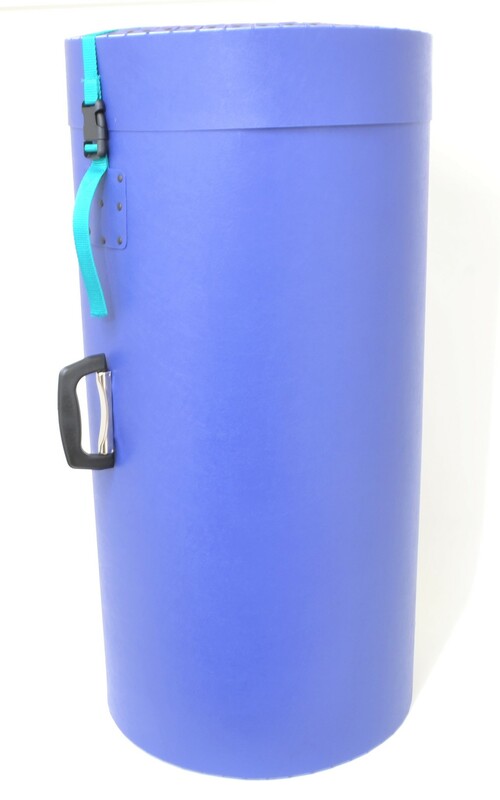 Transport carrycase is 85cm (high) x 42 cm (diameter). Item in its case weighs 20KG. Items are Brand New and Perfect with original RRP of around £2000! !